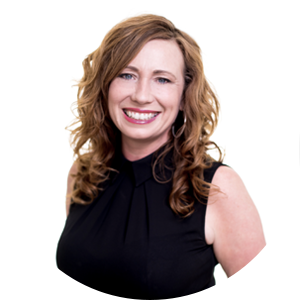 Valerie is the founder of Timms Real Estate and an Elite Performer in the Real Estate Industry. Valerie began her real estate career in 2000. In just 2 years she became the number one award winning elite salesperson in Adelaide for the Ray White group. She then became the director of Ray White Christies Beach and propelled the business to the number one office in SA/NT for many years running. During that time Valerie learnt the critical skills of survival in business, and overcame many fiscal and personal challenges. Valerie personally trained many salespeople in the art of listing and selling real estate, and created an elite selling team. Valerie then made the bold move with her husband Adam to create an exciting and fresh new Adelaide brand – Timms Real Estate. Valerie has created a brand of attraction and survived and thrived on the challenges of running a small business in a tough market. Timms is now 7 years old, with 2 super offices located in Blackwood and Christies Beach. Valerie also provides mentoring and coaching to other individuals in the real estate and business world and has a mission to help people turn their passion into profits. A big believer in giving back to the community wherever possible, she is continuously seeking opportunities to do add value to others. Valerie is an active director on the Board of the Hospital Research Foundation. Timms Real Estate also has a strong community and local charity focus. Valerie is passionate about public speaking and sharing her wealth of knowledge to others. She keeps busy with 4 children, her husband Adam and 7 acres in the Adelaide Hills.